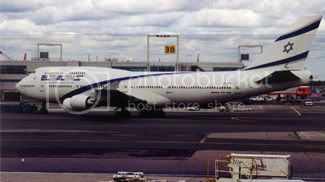 An El Al jet sits on the runway in a file photo. JERUSALEM, Dec. 11 (JTA) — For El Al, the skies just got a lot less friendly. The airline created as Israel’s national carrier, which recently was privatized, is scrambling to fend off a boycott threat from fervently Orthodox customers angered by its apparent breach of religious law. It all began at the end of November when, in a bid to relieve a backlog caused by the closure of Ben Gurion Airport in a labor dispute, El Al allowed some flights to operate into Friday night, the beginning of Shabbat. There also was a report of El Al passengers on a flight out of Russia being served non-kosher sandwiches. Fervently Orthodox Jews, who make up as much as 30 percent of El Al’s clientele, grumbled for weeks afterward about the need for the carrier to sign a contract committing to ritual code. Then Rabbi Yosef Shalom Elyashiv, leader of the powerful Lithuanian religious community, issued an edict Sunday ordering his followers to stop flying El Al. “It is not reverential of the heavens, and it is not proper, to fly El Al — even if this means a heavy price to pay,” he wrote. Elyashiv speaks for tens of thousands of Jews in Israel and the Diaspora, and religious experts predicted that other fervently Orthodox sects would follow suit. Ma’ariv projected that a sweeping embargo by the community could cost El Al as much as $320 million a year in lost revenues. The Israeli daily quoted an unnamed official at the airline as saying El Al could be forced to fly full-time on Shabbat in order to stay solvent. The airline has been fighting to stay competitive since the privatization, despite rising fuel costs and the launch of rival Israeli carrier Israir. Secular Israeli commentators saw a new struggle for the soul of the Jewish state. But for many religiously observant Jews, it was just a legitimate use of market forces. El Al has long considered flying on Shabbat, arguing that operating just six days a week makes it difficult for the airline to compete. When it was the national carrier, company leaders were more willing to bend to religious dictates, but when the Israeli government interest was sold many speculated that El Al would begin operating seven days a week. But El Al CEO Haim Romano says that’s not in the cards. While El Al is far from formally accepting Orthodox dogma, Romano said there was no plan to disrupt a decades-old status quo against Shabbat flights. According to Romano, talks were under way with representatives of the fervently Orthodox community to stem the crisis. “There is no boycott,” he said. El Al already has gone a long way toward accommodating the fervently Orthodox community, serving glatt kosher meals and providing religious lectures over the airline’s sound system. Fervently Orthodox passengers also can ask to be seated far from the film screens and generally are allowed to hold ad hoc prayer quorums aboard planes.